It's one of the oldest books in the world and India's biggest blockbuster bestseller!- But isn't it meant only for religious old people?- But isn't it very long... and, erm, super difficult to read?- But isn't the stuff it talks about way too complex for regular folks to understand? Prepare to be surprised. 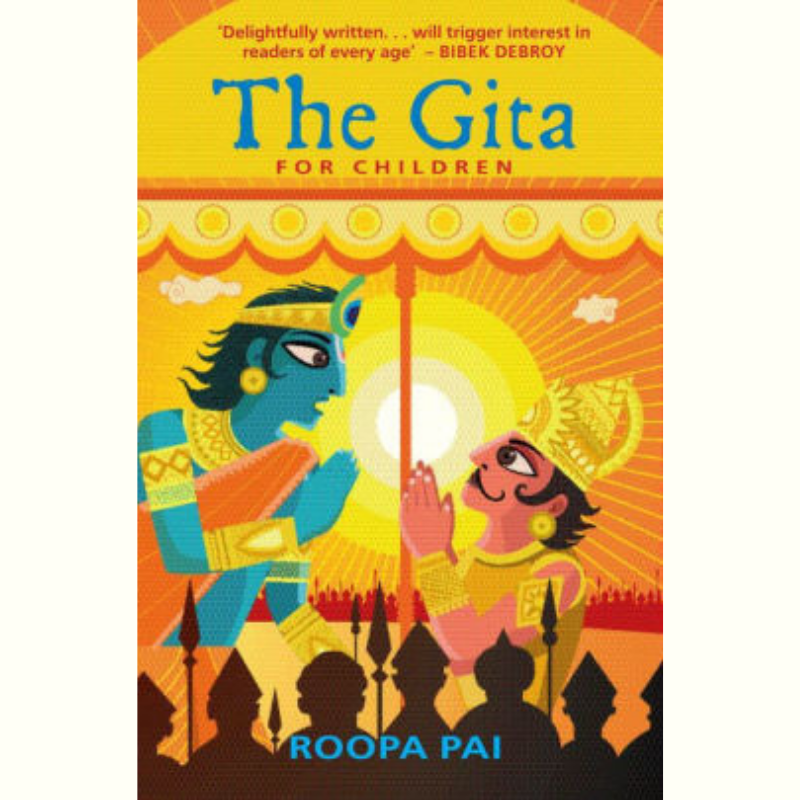 Roopa Pai's spirited, one-of-a-kind retelling of the epic conversation between Pandava prince Arjuna and his mentor and friend Krishna busts these and other such myths about the Bhagavad Gita. Lucid, thought-provoking and brimming with fun trivia, this book will stay with you long after you have turned the last page. Why haven't you read it yet?